Yes I “invent” that Inner tool, but think that it make extra machining as you say. You can extend the groove to the top of the side by creating an “inner tooling” that removes the excess 1mm. This improves the display of the assembly detail but will add an extra machine operation to the CNC files. If you are using CNC it’s possible to extend the groove lengths simply by giving a negative value to the “Recess of non through Grooves” option of the post processor. This will make the machine cut away the excess 1mm without having to add an inner tooling. 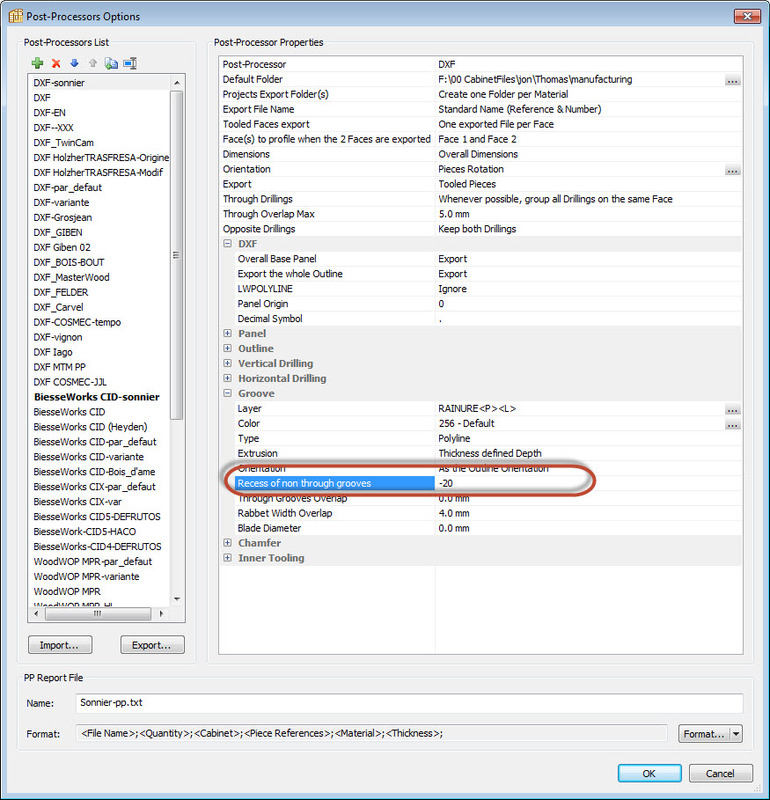 However, the display in the Cabinet edit mode will not be changed. If you are making the cabinet without CNC, it’s easy to extend the groove even if the drawings show a stopped groove. If I was you I wouldn’t bother to much about it. I attach my default cabinet box. 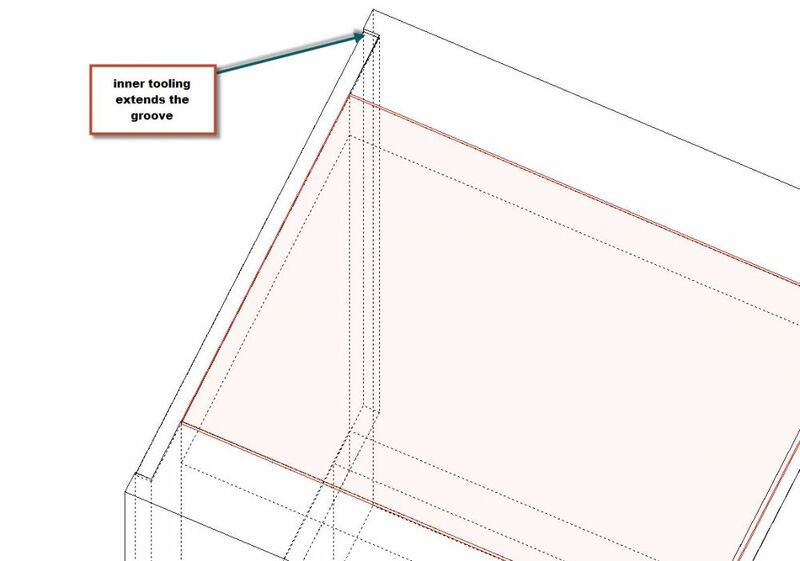 I cant get full grooving for sides/back, because my top is -1 mm down from side top. So I miss 1 mm grooving. How I can add that missing 1 mm?